Security measures at the Sochi 2014 Winter Olympics will include such extensive electronic eavesdropping and surveillance that the US State Department has advised Americans headed to Russia to leave smart phones and laptops at home, an investigation has revealed. Research by Andrei Soldatov and Irina Borogan, two Russian investigative journalists who specialize in covering the security services, reveals a picture of near-total surveillance, Soldatov said. The Russian authorities have gone to great lengths to [provide] the best communications support any Olympic event has seen at the February games, including 4G coverage and free WiFi throughout the city of Sochi. But Soldatov and Borogan’s research indicates that the internet, telephone and other communications providers involved are obliged to build networks in such a way that the [government] security services have full and unimpeded access. The monitoring program, which is run by the Federal Security Service [FSB], Russia’s internal security agency and the main successor to the KGB, is aided by software that helps identify key words and phrases of interest being used in electronic communications. “It is a very useful way of knowing who in a given region is talking about Navalny, for example,” said Soldatov, referring to a Russian opposition leader. An FSB statement and other documents also revealed that the FSB and the Russian interior ministry have both acquired two kinds of drones for surveillance during the games, he added, as well as a vast network of closed circuit television in the city. While the measures bear some resemblance to security at the Beijing Olympics, Soldatov said that taken together it is probably the most comprehensive surveillance in Olympic history. Drones had been considered for surveillance at the London Olympics, but were not used in the event. A decision by Spain’s congress to protect bullfighting and grant it cultural heritage status has been condemned by international animal rights organizations. The legislation which designates Spain’s national fiesta as part of “cultural heritage worthy of protection” was passed on Wednesday by a congressional culture committee and will go to a vote in the Senate later this month. The move will create measures and allow public funds to be used to promote and protect bullfighting and related activities such as running of the bulls throughout Spain. “This move is a cynical attempt by a desperate bullfighting industry to secure the future of this dying industry. Bullfighting is cruel and outdated and has no place in a modern society; culture stops where cruelty starts,” it said in part. The new legislation was not expected to overturn bans on bullfighting introduced by the regional governments of the Canary Islands and Catalonia. The bullfighting industry has been hit by the economic crisis with many cash-strapped town halls unable to afford to stage their annual bullfighting fiesta and amid falling spectator numbers. 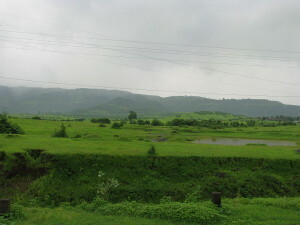 The landscape of Maharashtra, India – between Bombay and Matheran. The Indian state government of Maharashtra is planning to build a ‘New Mumbai’ as an overspill for the country’s film and commercial capital as overcrowding grinds India’s largest mega-city to a halt. There are now more than 20 million people living in Mumbai, traffic is so gridlocked it can take two hours to drive from the city center to its airport [approximately 23 miles away], and the constant tide of new immigrants…has sent rents soaring. The state government had already built one new city, Navi Mumbai, on its outskirts, to ease the pressure, but the influx of people seeking new lives and fortunes in India’s most glamorous city has prompted calls for a second overspill. Navi Mumbai’s population has already risen beyond a million. Now Maharashtra’s state minister for housing, Sachin Ahir, has backed calls for another new city to be constructed 50 miles away in Uran, a fishing village of 23,000 people just across Mumbai’s Dharamtar Creek. If the plan succeeds, it its expected to grow to a quarter of the size of Mumbai itself. Mr. Ahir said the private sector will help build a new metropolis on a 62 square mile site. Uran already has a major port and Maharashtra’s housing authority is already planning new housing estates in the town. Roads and boat links to Mumbai will be boosted by new rail services to Navi Mumbai. Officials plan to integrate two private ports, a gas power station and other major infrastructure projects to lure people from Mumbai. 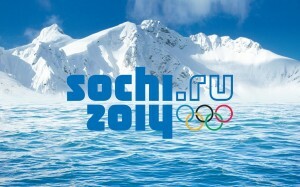 b) In addition to communications surveillance, what other means is the FSB using for security during the Olympic games? c) What does the Russian government say is the main reason for the “near-total surveillance” during the 2014 Olympic Games in Russia? d) Are the security measures being put in place by the Russian government for the Winter Olympics overboard, or the best way to ensure the safety of all athletes and spectators? Explain your answer. b) What percent of the Spanish population did a recent poll show were opposed to public funds being used to support bullfighting? c) Why do you think the ruling conservative Popular Party passed such a law if such a large majority of the people are against government funds being used? (Do you think the majority of Spaniards oppose bullfighting across Spain, or just their tax dollars partially funding it? Supporters, who see bullfighting as an integral part of Spain’s cultural identity, hope the announcement is a step towards protecting the tradition from further regional bans.) Explain your answers. d) Do you think the Spanish government should partially fund bullfighting fiestas? Explain your answer. b) What is the population of the largest city in the U.S.? How does it compare with Mumbai? c) Do you think state officials’ plan to build overflow cities outside of Mumbai is the best way to solve the problem of the severe overcrowding? Explain your answer. In August Vladimir Putin signed a decree establishing restricted zones around the city of Sochi and banning public demonstrations for the duration of the game. Earlier this week an FSB spokesman told reporters that security in Sochi would be unintrusive compared to the London Olympics. But investigative journalist Andrei Soldatov said the nature of the measures and key personnel appointments suggested other priorities [than counter-terrorism]. The chief of Olympic Security, for example, is Oleg Syromolotov, the head of FSB Counter Intelligence – a spy catcher rather than a counter terrorism expert. 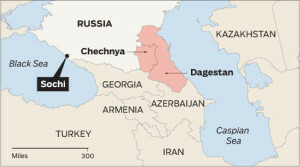 “Taken together, it looks to me like these people still see the main threat to the Olympics coming not from the North Caucasus, but from outside the country,” said Soldatov. The research, part of a joint investigation with the Guardian newspaper, is part of a wider project looking at Russian surveillance practices. The research is not yet complete and the full report has yet to be published, Soldatov said. Bullfighting: Why is it so popular? It’s the national sport of Spain. It is gaining, not losing popularity. In the Mediterranean, sacrificing bulls is a practice dating back to pre-historic times. In Greece for example, killing the minotaur is symbolic of a bullfight. Bullfighting as we know it today, started in the village squares, and became formalized, with the building of the bullring in Ronda in the late 18th century. From that time, it began to follow a particular sequence of events: the entrance of the bull, the picador, the banderilleros, and finally the matador (bullfighter). Many of the picadors’ horses were injured in the early days, so these heavy horses now wear protection. Mumbai has been hard hit by India’s break-neck population growth. The country is expected to overtake China as the world’s most populous by 2026 and hit 1.6 billion by 2050 – a 25 per cent increase on its current population of 1.2 billion. The government is in a state of high anxiety over how it will provide the new jobs, houses, food, water, transport and sanitation services they will need if the country is not to collapse under the pressure. Sachin Ahir (Maharashtra’s state minister for housing) told the Telegraph Mumbai now needs to build a million new homes but cannot find the space.